Once every three years, at the national triennial convention, Sigma Delta Pi honors our most outstanding chapter adviser with a cash award and a beautiful plaque. Once every three years, at the national triennial convention, Sigma Delta Pi honors one of the Society’s most outstanding chapter advisers with a monetary award and a certificate. Nominations with all supporting documents should be received by the Executive Director no later than April 1 of the year in which the national triennial convention is held. A nominee for the Premio José Martel must have served at one college or university as a successful chapter adviser for five consecutive years with at least one initiation each year, be currently serving as chapter adviser, and be nominated by a chapter or by a member of the Executive Council. 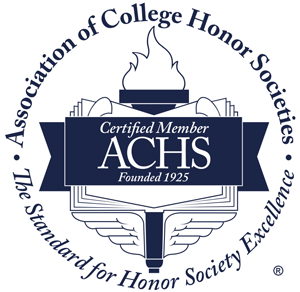 The nomination must document the accomplishments of the adviser in connection with the chapter, as well as the adviser’s other academic attainments. Supporting letters from the nominee’s dean and another high college official must accompany the nomination. It is suggested that the activities of the chapter during the past five years be enumerated and described, and that a résumé that details the nominee’s professional activities be included. The Premio José Martel commemorates the service of Dr. José Martel, who died August 22, 1979, at the age of 96, after serving Sigma Delta Pi loyally and unselfishly for over half a century in many capacities: chapter adviser, vice president, honorary president, faithful counselor, orator on national occasions, and polished author in the rewriting of parts of our ritual and in the preparation of certificates of award. The Premio José Martel, proposed by then President T. Earle Hamilton in 1968 and subsequently made possible in part by the generous donation of Martel himself, was first presented to Dr. Lucía D. Bonilla of Hunter College, CUNY in 1972. The above photo was taken during the summer of 1929 when Dr. Martel taught in the Spanish School at Middlebury College.